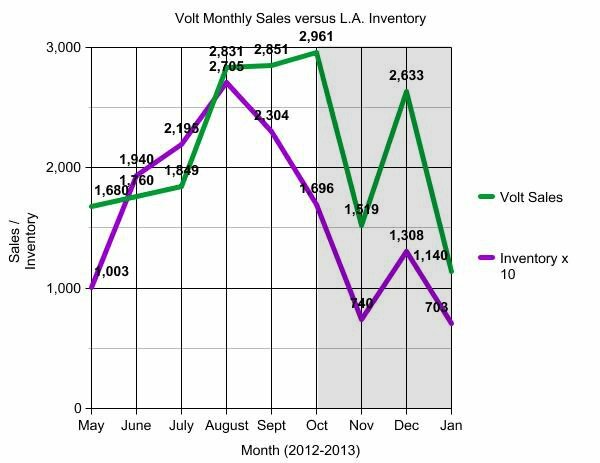 Predicting Chevy Volt Sales: Is California Inventory The Key? Analyzing electric-car sales numbers and prognosticating on them is somewhere between a parlor game and a black art. 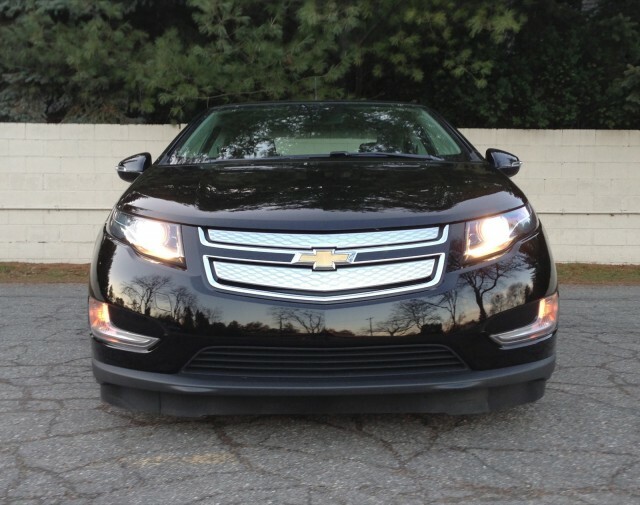 Now one blogger has applied some Nate Silver-like statistical analysis to try to divine predictive patterns in sales of the Chevrolet Volt, the range-extended electric car that's currently the best-selling plug-in vehicle in the U.S.
Ryan Turner, of Raleigh, North Carolina, who writes the My Chevy Volt blog (he's also @VoltDriver on Twitter), suggested yesterday in a post that looking at Volt inventory in California gives some clues to future Volt sales. He notes that he had not predicted the fall in Volt sales that took place last November, though he did expect reduced numbers last month as buyers who wanted to take advantage of the $7,500 Federal income-tax credit would rush to buy before December 31 of last year. But now he thinks he's found the way to predict the monthly numbers: Reported Volt sales track inventory in the car's key market, California, where more than 50 percent of Volts are reportedly sold. And he has a very nice graph to map the two trend lines, which we've taken the liberty of reproducing here (but, you should go read his whole analysis). Specifically, he looks at the number of Volts available for sale within a 30-mile radius of the 90210 ZIP code. That's Beverly Hills, in case you never watched the famous Nineties TV show on Fox. He's tracked those inventory numbers since last May, so he's got most of a year's worth of data built up now. And the graph is pretty revealing. We'll be testing out his premise in months to come, to see if it holds up. Meanwhile, we're curious: What other metrics would you use to predict the sales of the Chevy Volt--or indeed any plug-in car?